The A320 aircraft, which make up the majority of our fleet, will be updated for the first time in nearly 20 years with modern and comfortable seats, uniquely customized inflight entertainment (IFE) systems and expanded free, high-speed internet connectivity almost everywhere we fly. 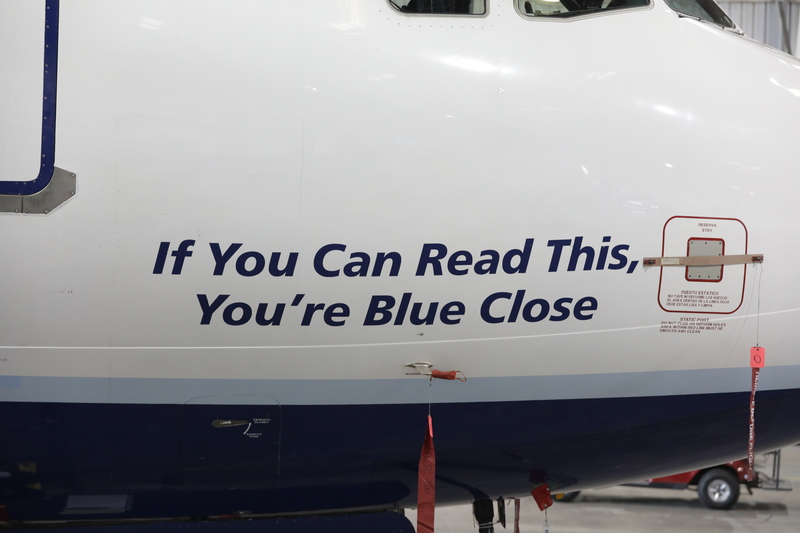 The first aircraft to complete the 2019 phase is named “If You Can Read This, You’re Blue Close,” and more than forty additional restyled aircraft are scheduled for completion by the end of the year. The most legroom in coach of any U.S. airline*, but you know that already! The widest seat we can possibly put on an A320 – 18 inches of width, all for you. Enhanced cushion comfort in every seat. Contoured seatback design at knee level so your knees can breathe. Adjustable headrests, a new feature for our A320s. Say bye-bye to those awkward neck jerks. Redesigned seatback pocket, including an innovative elastic grid to store any and all of your travel knick-knacks. 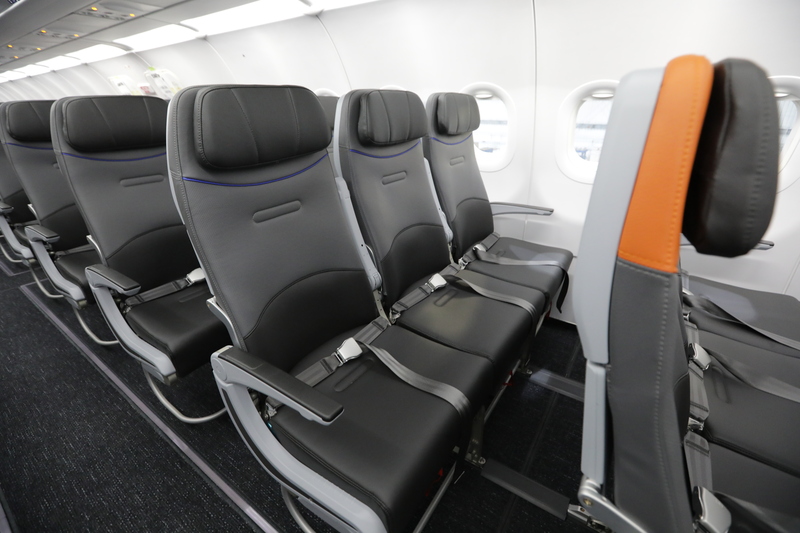 At least two easily-accessible and repositioned power connections at every seat, which will come in handy with all the new IFE features. We are also updating our inflight entertainment options with the latest and greatest Thales AVANT and ViaSat-2 connectivity system. 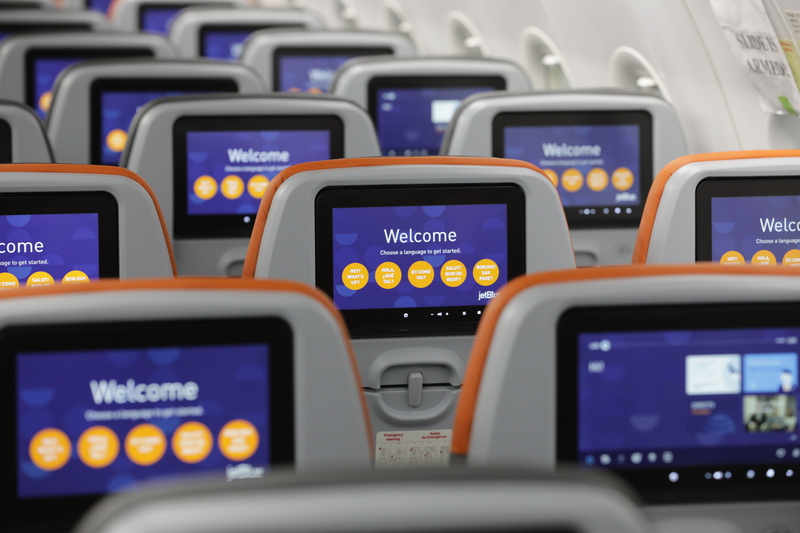 In other words, you can soon experience the restyled A320s expanded entertainment choices in nearly every region we fly to**. 10.1 inch, 1080P high definition screen at every seat. FYI, the newest iPad Pro is only 0.4 inches larger. More than 100 channels of live television, and the ability to pause and rewind live TV – so staying away from spoiler alerts are a thing of the past. With even more on demand movies, TV shows and video content, and new gaming features, you’ll never run out of things to watch. We’ll be introducing full seasons of TV content to make it easy for you to binge-watch your favorites. Need to navigate between apps without missing a second of the movie? That’s what the picture-in-picture mode is for! An enhanced, 3D flight map which offers multiple ways to track time left to your Blue City destination. If you want some recommendations about the Blue City you’re headed to, we’ve got you covered with destination specific content and recommendations on what to do, where to go and what to eat. Phone pairing so that your personal handheld devices can be your remote or even game controller. A more responsive touchscreen to replace the in-arm remote controls. Expanded Fly-Fi connectivity, providing coverage to nearly the entire our network. ** Fly-Fi is available on all JetBlue-operated flights. On ViaSat-2 equipped aircraft, Fly-Fi may not be available on portions of routes to/from Anchorage, Alaska and Lima, Peru. On all other aircraft Fly-Fi may not be available while operating outside of the contiguous U.S., or until the aircraft returns to the coverage area. Ryn Weaver performs her first single, “OctaHate” from her debut album, The Fool.